Can a classic car be a daily driver? Classic cars are a funny old game. Some enthusiasts love to pamper their wheels, a process that often involves creative uses for toothbrushes and ointments. Others subscribe to a more matter of fact approach, running their old motors on endurance rallies that threaten to rattle their old panels to pieces. I fall somewhere in between. I'm happy to let my classic car hire fleet be used pretty much all year round whatever the weather, but my prized possession is an Alfasud, which rarely turns a wheel in the wet. Which is not only caring, it's probably also very wise. 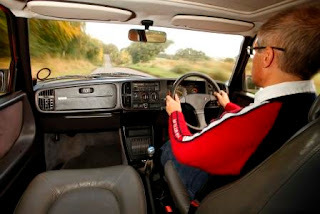 I feel strongly that classic cars should be used and yet I actually drive classic cars very rarely: partly this is due to lack of time, partly because they're usually on hire. My daily driver is a 3 litre Alfa 166, an absolute gem of a car but one with catastrophic fuel economy. All of which felt like it wasn't quite working. So I've made a decision. I'm going to use a classic as a daily driver and report back on how it goes. In part I want to practice what I preach, which is that having our own workshop makes our cars much more reliable. In part I want to see if it's actually possible. Decision made, the obvious question was 'what car?' I'm past the age where I'll put creature comforts on a back burner, so I didn't want a sports car. I needed something fairly practical, as reliable as possible with a decent boot. It needed to be economical, but also reasonably quick. The heater must be good. Oh, and it had to be unusual and distinctive. As the past owner of an Austin Allegro, which arguably ticks most of these boxes, you might think my decision was already made. But no. 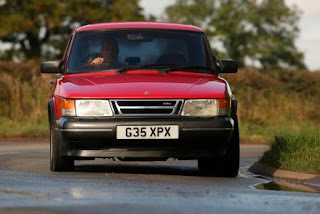 I've chosen a 1989 Saab 900 T16S, which is not only one of my favourite cars but also ticks every one of my criteria. I also happened to own one already. The Saab 900 has a mixed reputation among enthusiasts, some of whom may not even realise that the youngest 900s now qualify as classics under the 25 year 'rule.' It's the perfect candidate for a daily driver: as a late 80s classic it benefits from considerable improvements in reliability over previous eras - it has fuel injection and electronic ignition - and has a good reputation for durability. The 900 is also spacious, comfortable and equipped with modern conveniences like cruise control, electric windows and heated seats. All this and 35-40mpg. I've owned this particular Saab 900 since 2011 and it's the reason I love this model. 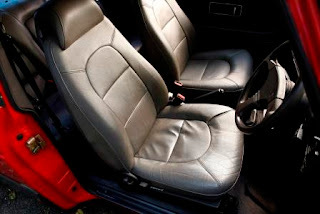 The 900 is essentially a Saab 99 with extra front and rear overhangs, which means that this 1989 model can trace its structure and engine back to the late 1960s. The T16S uses the full pressure version of Saab's famed 2 litre turbocharged engine, with 16 valves and of course fuel injection. Power is 175 bhp, at the time making the 900 the most powerful FWD car available. 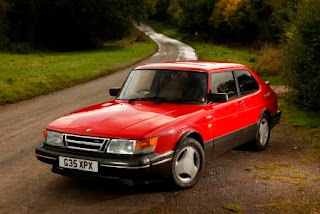 Despite its reputation as a car for doctors and architects, the Saab 900 is fast with surprisingly good handling and plenty of clever - some might say quirky - features like the wrap-around 'aircraft' style windscreen. My T16S had been off the road for most of 2015 due to a gearbox fault, which is a common problem on these cars. To cure the problem the Great Escape Cars workshop fitted a replacement engine and gearbox from a donor car over the summer and last week the car passed its MOT. The car is presentable and solid rather than in excellent condition, so ideal for use as a daily driver. No doubt the winter roads and climate will do their work on it, but since it will need renovation within the next two years that isn't a hardship. I began using it this week and, after many months out of a 900, was immediately surprised at how modern it is. Sure, the cabin is narrow, but the interior, handling and comfort don't feel greatly out of place today. It has a good heater and decent ventilation, two critical factors when using a classic over the winter. 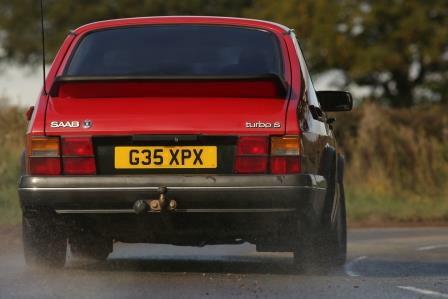 I will be using the 900 as my daily commute car throughout the winter - and hopefully beyond. It will also get use at weekends for carting shopping and all the hefty paraphernalia associated with our allotment. I'm off to Glasgow at the end of the month plus we've got a weekend trip to Cornwall already lined, which will be a chance to test its reliability and suitability for longer trips. I'll be posting regular updates here and on our workshop Twitter feed (@fixclassicars). To find out more about our workshop call 01527 893733 or click here.